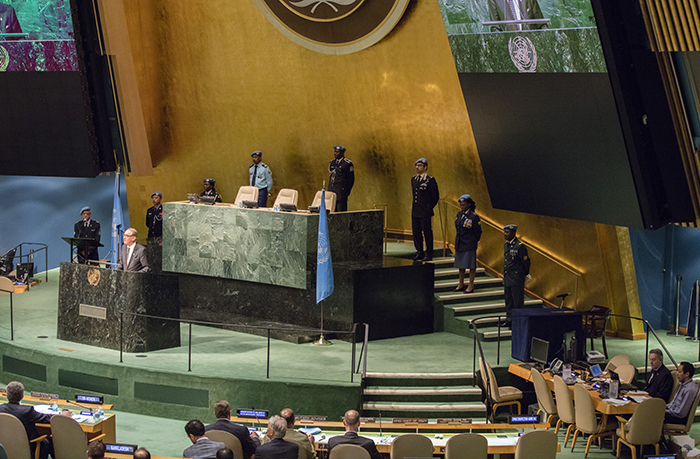 United Nations, New York, USA, June 03 2016 – Deputy Secretary-General Jan Eliasson makes remarks at the opening of the United Nations Chiefs of Police Summit (UN COPS), a historic gathering of more than 100 police leaders from around the world, taking place at UN Headquarters in New York, 2-3 June today at the UN Headquarters in New York. COPS) was held at the UN Headquarters in New York this week. European Union and senior UN representatives to discuss the role of UN policing. current and future transnational threats. or is absent,“ said Eliasson. 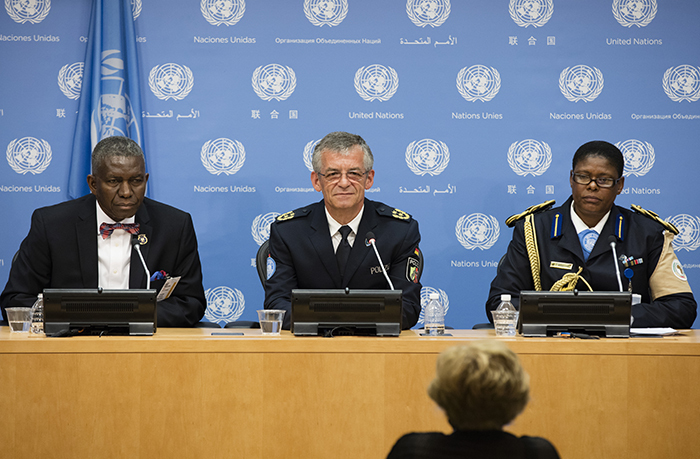 (from Left) Christian Clarence, Inspector General of Liberian Police, Stefan Feller, UN Police Adviser and Priscilla Makotose, Police Comissioner of the United Nations–African Union Mission in Darfur (UNAMID) today at the UN Headquarters in New York. the occasion of the summit. peace operations of contemporary times,“ said Feller. member countries to push forward the work of the institution. purposes of international policing,“ said Feller. 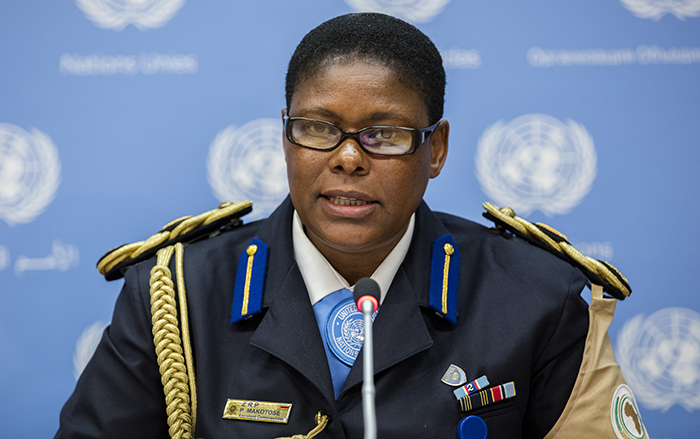 United Nations, New York, USA, June 03 2016 – Press Conference on the UN Chiefs of Police Summit (UN COPS) by Priscilla Makotose, Police Comissioner of the United Nations–African Union Mission in Darfur (UNAMID) today at the UN Headquarters in New York. Priscilla Makotose represented the UNAMID police component. individual police offers at UN Police are females. Christian Clarence is actively working towards a democratic form of police in Liberia. He thanked UN Police for the great work they conduct in the struggling country. an undertaking lasting for decades, such as in Liberia, explained Feller. capacity and empowerment, promoting inclusion and lasting partnerships. video message on the occasion of UN COPS. “We are one international policing family,“ UN Police Adviser Feller said.